This weekend a friend came over for a walk in the country and a cotswold tea. I knew the perfect place to go for a good country stomp and the perfect place to refuel with the best hot chocolate outside of Italy (well not quite, but its pretty close). 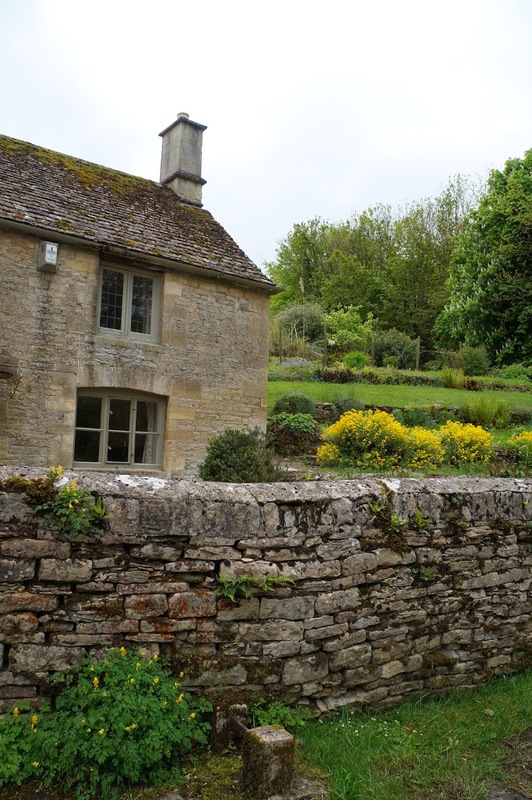 We drove to the Bibury court and went for a walk around the grounds and up through the back into the surrounding fields. We got kitted out in boots, jackets and scarfs and headed off. 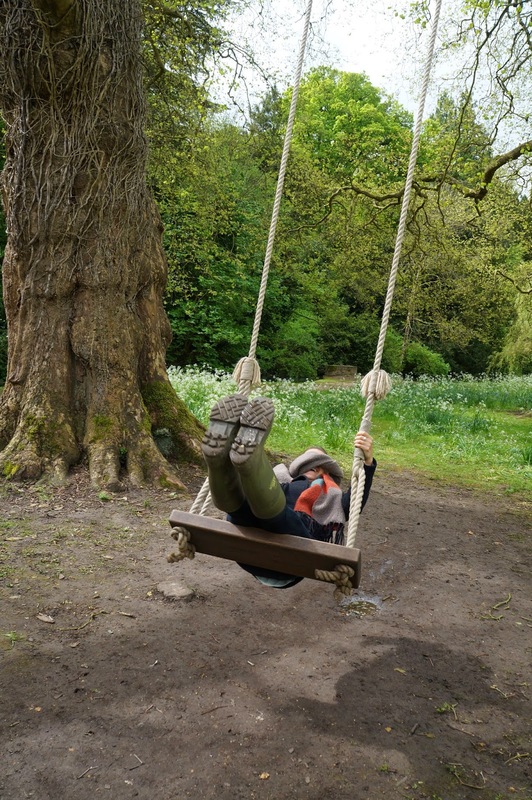 We found a swing fairly early on which was a nice distraction and really fun, I hadn't been on a swing since I was little and I found it super therapeutic and hilarious at the same time. After a good half an hour walking we felt a bit silly being all wrapped up so the scarfs became a rather annoying burden, but all the same a good chance to blow away the cobwebs. Not only is the building spectacular but also there is this beautiful church situated in the grounds which makes it ideal for weddings. 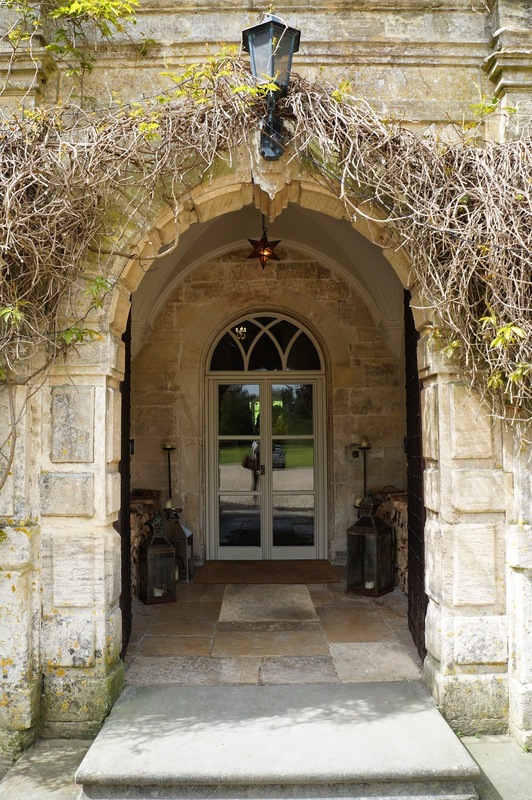 As a wedding was being held that at the Bibury court we couldn't sit the beautiful drawing room to have coffee so we went on to Burford, one of my favourite places, its actually a garden centre but you would never think so. From everything to candles, cushions, art and rugs it has everything and perfect taste in decor, products and food. A good helping of cake and hot chocolate.